Take the virtual tour of our flagship store at Marine Drive in Vancouver. 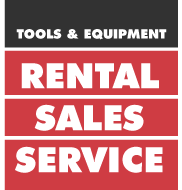 We have a huge selection of tools and equipment for all job requirements ready for you to buy or rent and start using today. Have something in mind that you need? Contact us today and a member of our team will get you equipped and ready for action before you know it.